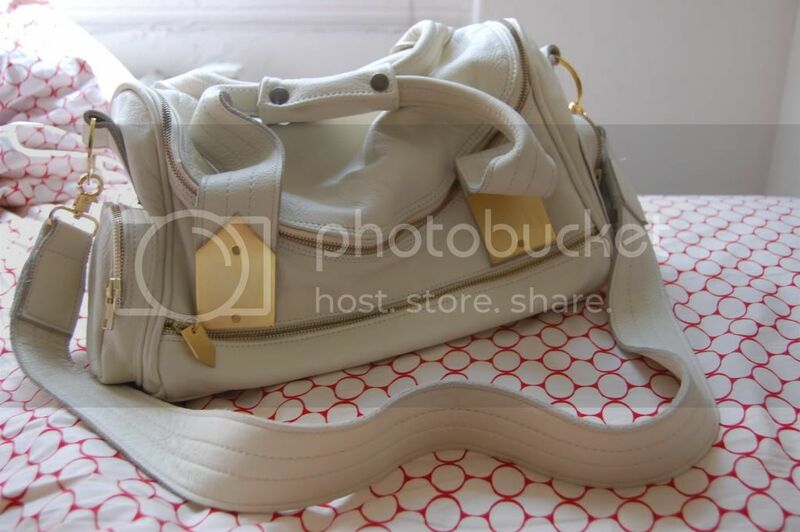 So I finally gave in and bought the knox bag that I was talking about a couple posts ago, but in white. I was aiming for black, but I figured that I had SO many black bags already, a white bag wouldn't hurt. It was ridiculously cheap in ebay, so I snatched it up without thinking. Thankfully, I have no regrets :) The leather is supersoft, and the hardware is pretty amazing. It's a little bit heavy, but what leather bag isn't? 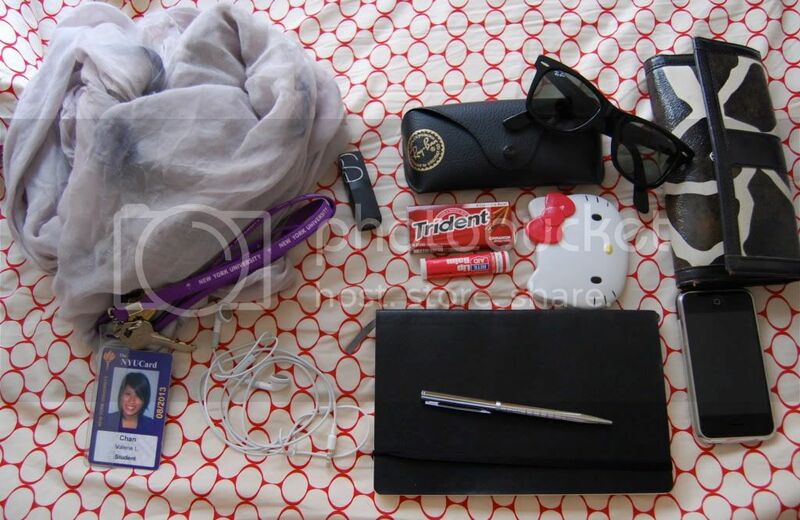 ridiculously soft scarf from zara, college ID that I look god awful in + keys, Nars Lipstick in Shanghai Express, Raybans, Cinnamon gum (i'm one of like, two people in the world that actually enjoy cinnamon gum), Hello Kitty compact mirror (from way back when), moleskine planner, pen, old crappy wallet (pleather + cow print anyone? ), iphone. P.S. Huge thank you to the reader who reminded me to update my "about me" :) Haha I completely forgot. love the bag...good luck with school!!! That bag looks so soft! And I really love the color you got it in. that ain't cow print, girl, that's giraffe! i'm so excited for you for going to NYU. keep us updated (when you have time, duh)! you live such a glamorous life valerie! Love your bag and your Ray Ban, love your blog, follow you, kisses from M.
The bag is AMAZING!!! ANd I need to find a hello kitty compact soon!